Find out about where Care for Cleveleys began and join in. Love the place, want to help to keep the town great, and make it even better? Read on, you’re in the right place! 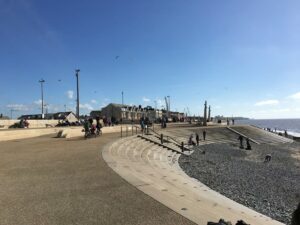 In 2017, and Wyre Council accessed a government grant to create and support a new ‘Coastal Community Team’ for Cleveleys. Coastal Community Teams exist all around the UK. They are about encouraging local people to work together and strengthen the economy in our seaside towns. 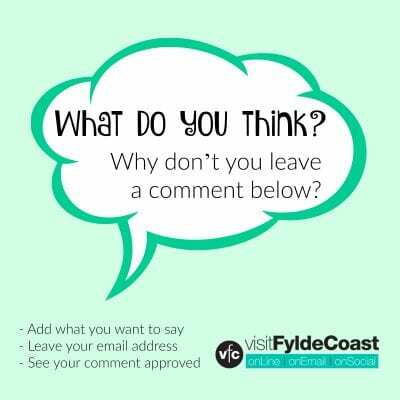 The existing Care for Cleveleys Facebook Group was adopted as the page for the Coastal Community Team. It’s where we discuss and decide what needs doing, plan upcoming projects, and keep up to speed with developments. Find out what the Coastal Community Team has done to make Cleveleys better than average. The team has already achieved such a lot and there’s lots more to do! Where did Care for Cleveleys begin? 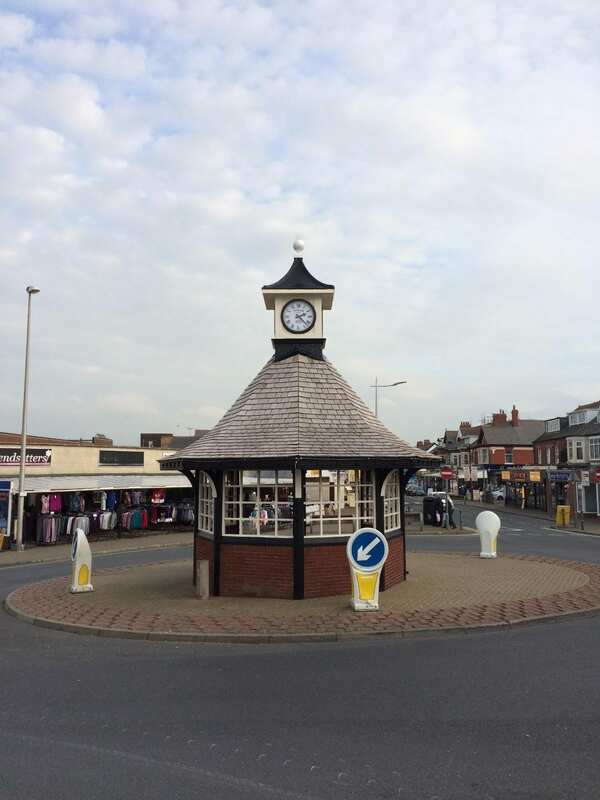 Way back in 2014, Visit Cleveleys led the campaign to restore the then badly storm damaged clock shelter. Inspired by the goodwill that the project created, we also started the Care for Cleveleys Facebook group. We’re all busy. We’ve all got a lot to do. So although we’re well intentioned and think that lots of projects and groups are worthwhile, many people never actually join in with them. Talk to each other – egg each other on, share enthusiasm and positivity, complete small projects and encourage each other to do nice things. Just like a real life community group would do if they met each week/month. Share our actions – somewhere for people to share their positive actions like picking up litter, to encourage others to do the same. Give control back to local people – making it OK to pick up litter as you pass it. Making it normal to pull up weeds. Giving you back pride in where you live. Just like your mum/grandma had in the 1900’s – rather than expecting someone else to do it all for you. ‘Live here or visit, we love it’ is Visit Cleveleys slogan – and that’s what it means. It means all of us. Local people, visitors, shop owners, businesses, children, old people. We all have a stake in how good or bad the place is – and between us we make it even better. Like many people, we bought what was originally a holiday home. It got harder and harder to go back to our then full-time home, and eventually we worked out a way to live here. We moved our life and business – lock, stock and barrel. It was learning about the local area which got me involved in the local community in the first place.  As is well documented, Visit Cleveleys was our first website and originally just an ‘itch we wanted to scratch’. We’d got the skills to build a website so we did – never dreaming that it would lead to all of this. I love living here. I love the sense of community that there is, and how people are (generally speaking) nice and will pull together. The restoration of the clock shelter, and the groundswell of support to keep the cheese shop open when it faced closure proved that point. I love all of the Fylde Coast and I feel lucky to be able to go to buzzy, bright Blackpool and feel like I’m 8 years old and on holiday. By contrast I love being able to go on the beach and walk in absolute solitude, with only the cry of the gulls for company. But I live at Cleveleys, so I must confess it has to be my ‘favourite child’, and I want to play my part in making it great. After all, that’s why we started all this Visit Cleveleys nonsense in the first place! I’d never been involved in any community work before I moved to Cleveleys. Like most people, I always thought that ‘you’ couldn’t. That if you didn’t like something ‘they’ had to sort it out. I’ve now discovered that’s not true. If you don’t like something, you DO have the ability to change it. When my mum (Chrissie Blogger) was young, people looked after where they lived themselves. Local councils didn’t do everything for everybody and so it was normal to roll your sleeves up and go and sort out whatever needed sorting out. Now, today, people feel like they shouldn’t take community action. They worry that everyone will look at them, that they’ll feel silly. That they pay Council Tax and so it’s someone else’s job! Let’s take that control and responsibility back, and each of us do our own little bit to make Cleveleys a place and a community to be proud of! After the success of the original clock shelter restoration campaign, I was wondering what to do next. That was before the Coastal Community Team began. What you probably don’t know and need to understand is that I have no spare time at all. Between paid work and my own voluntary activities, I literally work all the time. Much as I would like to breeze about picking litter up, talking to people and engendering community spirit, I just don’t have the time. You probably don’t either – we’re all busy with jobs, families, kids etc. So whatever we do as a community must be easy but effective, and open for everyone to feel involved, and part of a team. Lots of little acts of responsibility and care quickly add up to make a great big difference. We’ve already established that we’re all busy. But we CAN pick up a bit of litter instead of walking past it. We CAN take responsibility for where we live. We CAN talk in a positive manner about the many great things about Cleveleys. And another thing, while I’m on my soapbox. I know that there are many, many people who come to Cleveleys regularly. Although we don’t depend on tourism like Blackpool does, the people who come here to spend their money are VERY important to our local economy. By and large visitors are always made very welcome, but there’s no reason why people who visit can’t feel like they also have a stake in the place. You can also join in and play a part in looking after a place which they love. Will you Join In and Care for Cleveleys? 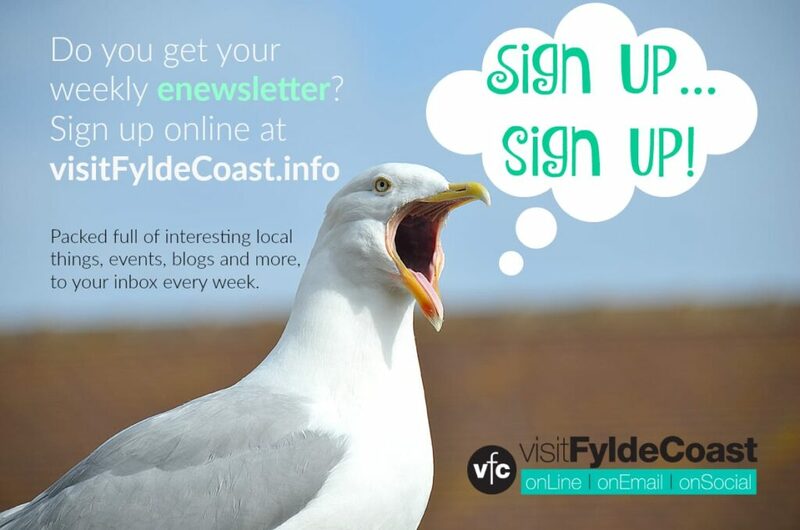 Have a browse around the other pages in this Care for Cleveleys section to get a feel for what’s happening. You’re very welcome to join in with the Town Centre Clean Ups. If you’ve got any ideas for anything else that you’d like to do to do to make Cleveleys better just get in touch.